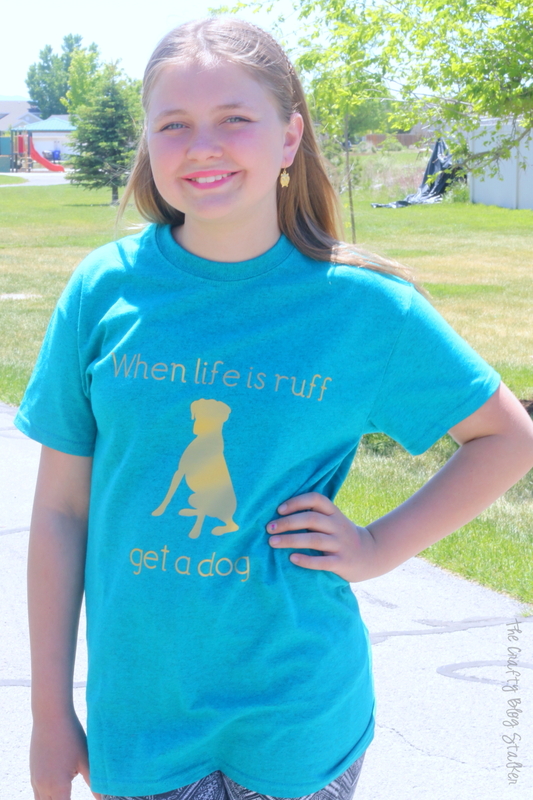 Beat summer boredom by designing your own t-shirts with Cricut and Expressions Vinyl Heat Transfers. A fun DIY that you can personalize to your own style! Vinyl used was supplied by Expressions Vinyl. All opinions and stories are my own. We started in Cricut Design Space. I showed Allie how to search for images and let her browse until she found an image that she liked. I was surprised at how quickly she created her design. I thought teaching her all of the steps would take quite a while but she caught on really quickly. After she called me over I showed her how to align the text and image so it was all perfectly centered. This is her design. I guess it is a saying that one of her friends says all of the time. You can even use her actual file if you want to recreate it. 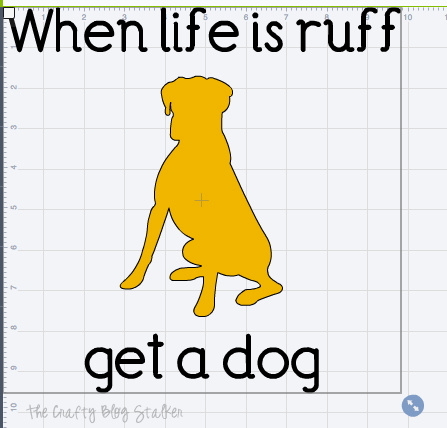 Click here to open it Cricut Design Space. Once the design was finished we measured the t-shirt so we knew how big to make the design. I like to start the design three inches down from the neck and be about 9-11 inches in width across the chest. 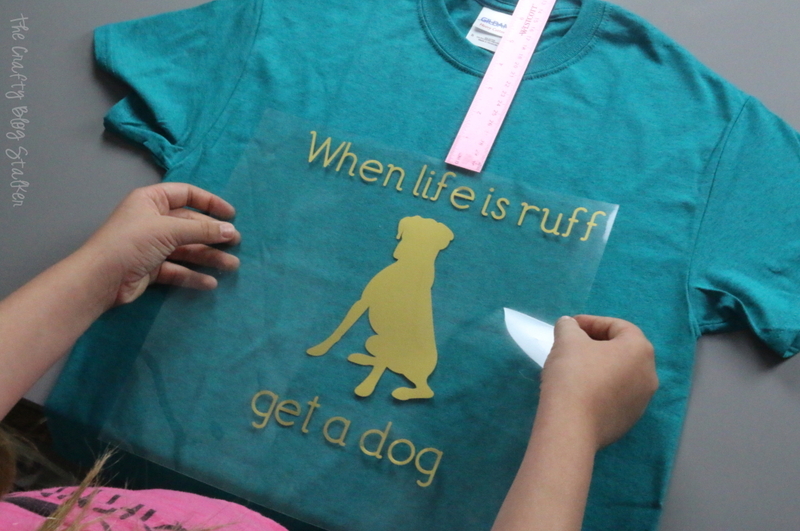 Make sure when you are cutting out iron-on-vinyl to cut the design as a mirror image. This will cut it out backward, but it will right way when you iron it onto your shirt. Allie’s favorite part was watching it cut. It is pretty mesmerizing. 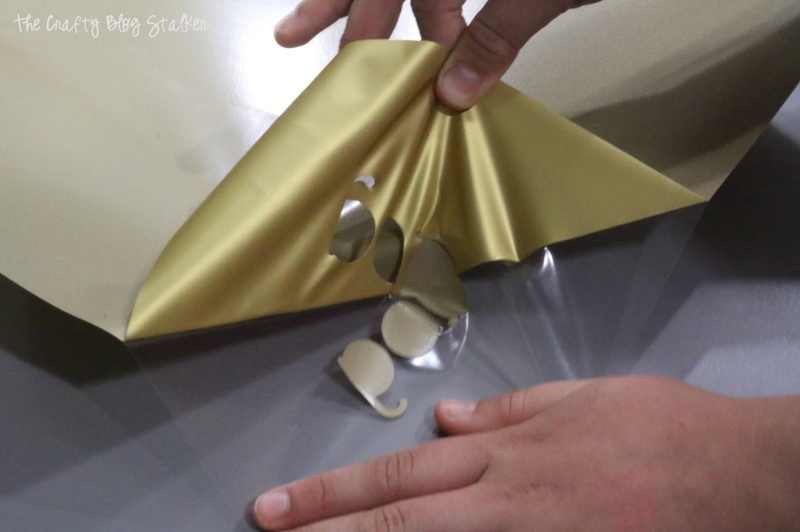 Carefully remove the gold iron-on-vinyl from the Cricut sheet that holds it while it is cutting, then comes the weeding. I love watching the design appear as the extra vinyl is removed. Here is the finished design. Yes, it is backward. Remember we cut a mirror image since we are transferring it to a t-shirt. 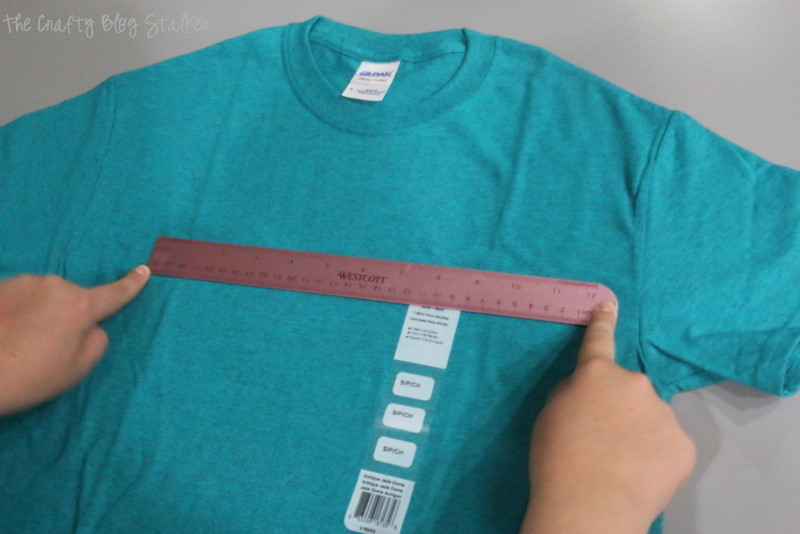 We put a ruler down at the center of the neck of the t-shirt to use as a guide for placement. The ruler helps us center the design as well place it 3 to 4-inches down from the neck. The back of the image is a little sticky, so you can place on the shirt and it will hold in place, but it isn’t there permanently until you iron it on. When the design is right where you want it, flip the shirt over and iron. 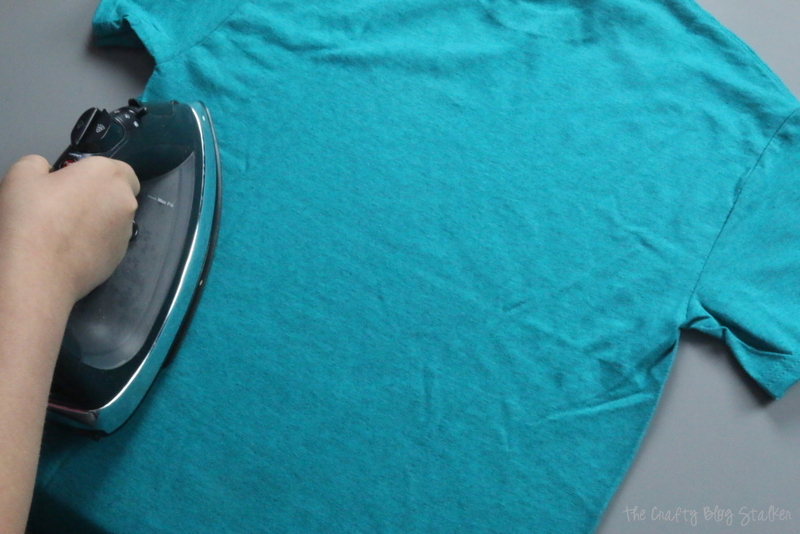 Set your iron to the cotton setting with the steam turned off. Go over each area several times. Turn the shirt over and slowly peel up the clear carrier short. If you come to a spot where the vinyl isn’t sticking to the shirt, place the carrier sheet back down and re-iron. You can do this as many times as necessary until the design is good and stuck. Finally, give the shirt another good once over with the iron, just to make sure everything is good and stuck. Allie’s shirt turned out super cute and she was so proud of the fact that she made it all be herself. Isn’t she cute?! I mean, isn’t the shirt cute? 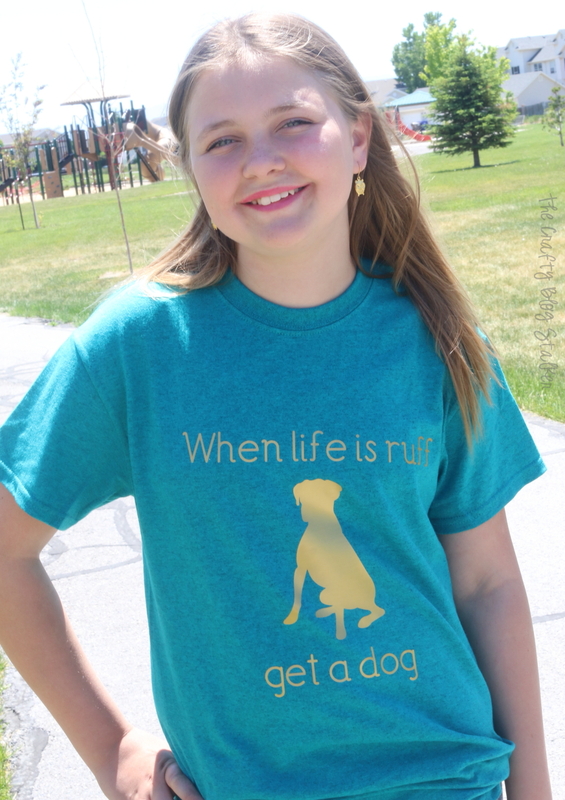 She couldn’t wait to show her friend how she turned his favorite saying into a shirt. Now all of their friends are placing orders for their own. Boredom solved! And something was learned in the process, even better. Take that summer! 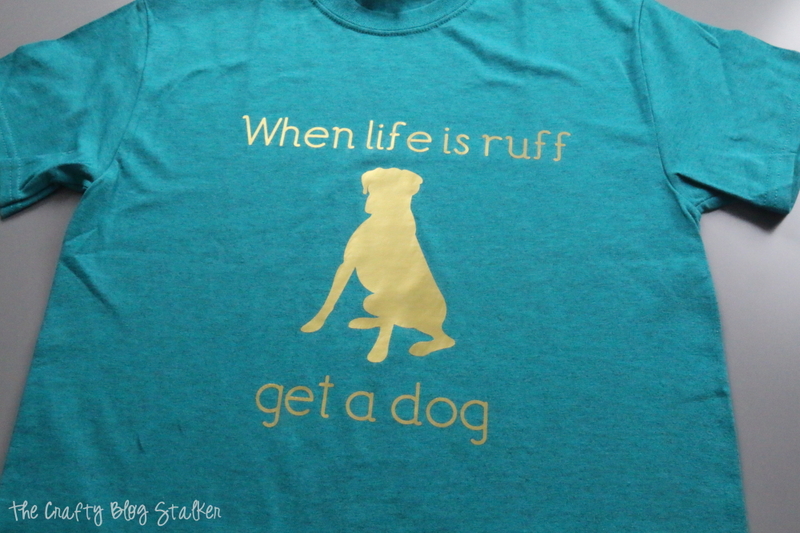 What is something you always say that you would love to see on a T-shirt? Share and leave a comment below. That shirt is just TOO CUTE! 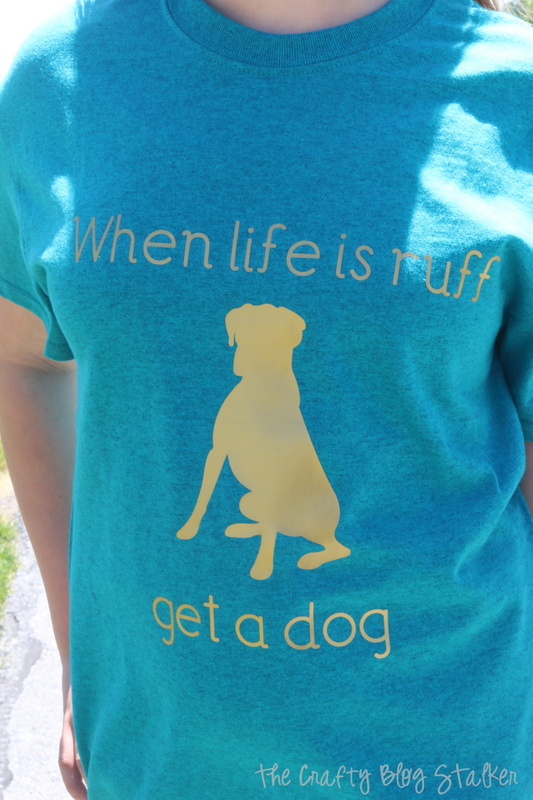 I need to get a cricut because I am absolutely obsessed with the idea of designing my own shirts. Thanks for the inspiration! Thank you Gina! 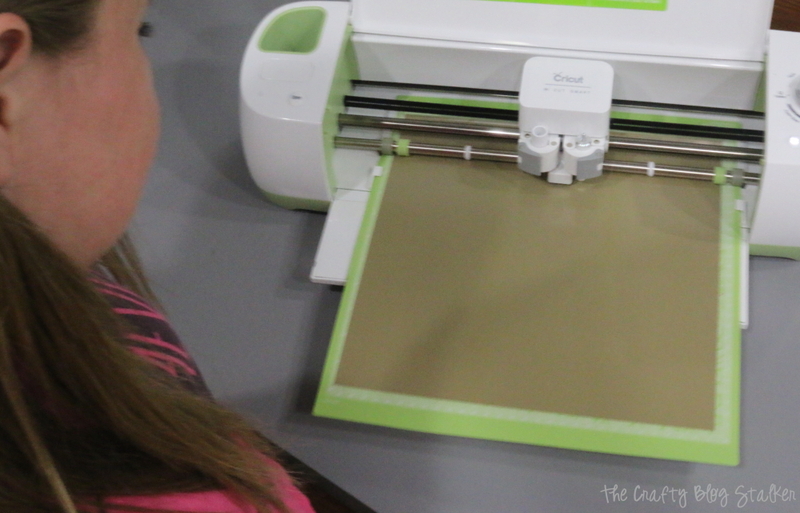 Yes you do need a Cricut! It is such a fun tool. I was just wondering if you have found any comparable iron on sheets to the ones you buy in cricut. Great question Kim. 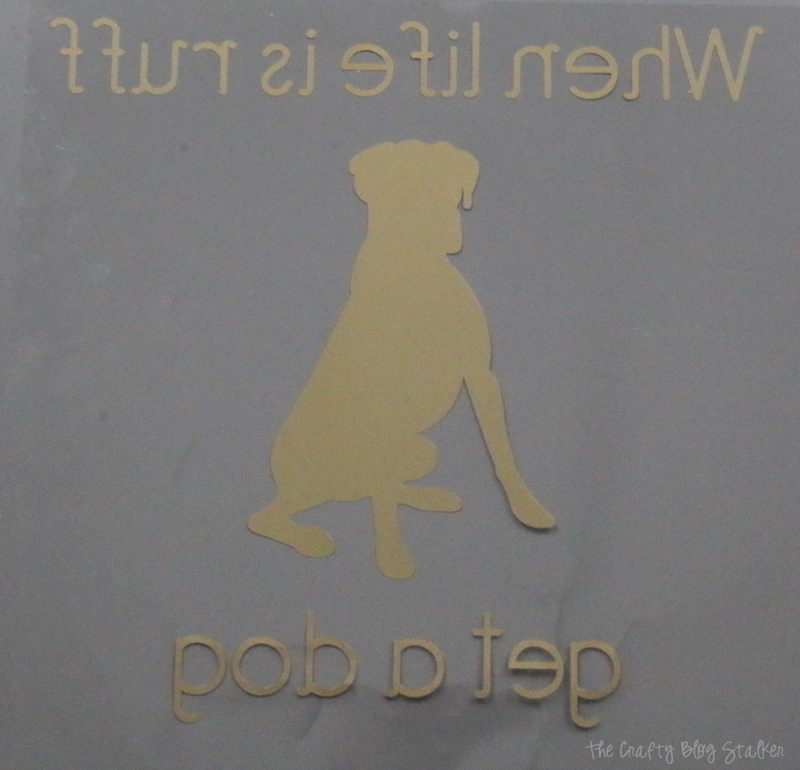 I actually have not cut metal sheets with my Cricut, so I haven’t tried any other brands. I’m sorry I couldn’t be more help. I just made a simliar shirt for my son on my cricut, but I couldn’t figure out how to get it to cut like yours did, as one big item to iron on. Mine cut the words and image seperately, and I don’t like how it isn’t perfectly centered and leveled on the shirt. Can you add more detail on how to get it all aligned and centered? Such a cute shirt! When you have your design aligned and exactly how you want it, select all of the images by clicking the select all button in the top menu bar, then right click and select attach. This will combine all of the images into one and keep the spacing you configured. I hope that that helps Christina! This is so cute!! 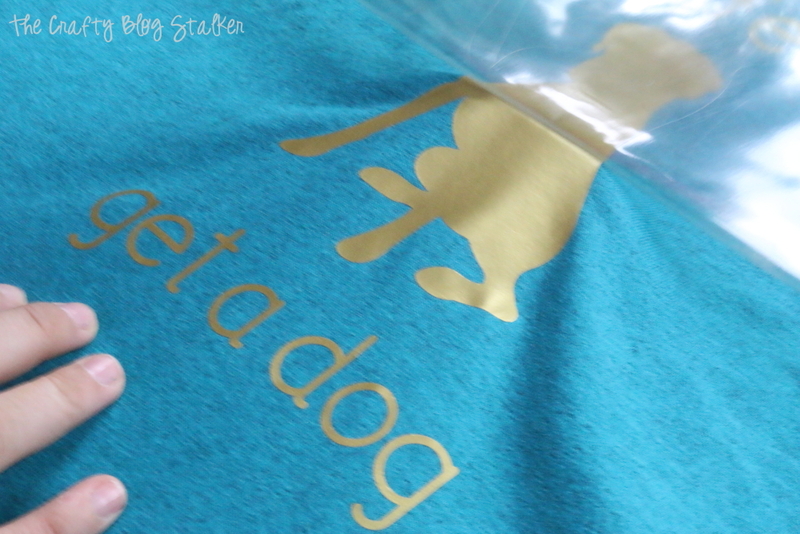 I have got the same color Glidan t-shirt to try some t-shirt project and also some HTV. Can’t wait to try!! Thank you for sharing with us at #HomeMattersParty . We would love to have you again next week. Thank you, Sahana! I am so glad that I could send a little inspiration your way. Wow! what a nice DIY shirt. It is very impressive and cute design you got 🙂 Keep sharing. Thank you Patricia! I am so glad that you like my daughter’s shirt. It was fun teaching her how to make it. Thank for sharing such a useful blog. All the steps are very well explained. I am going to try this for cricut machine. 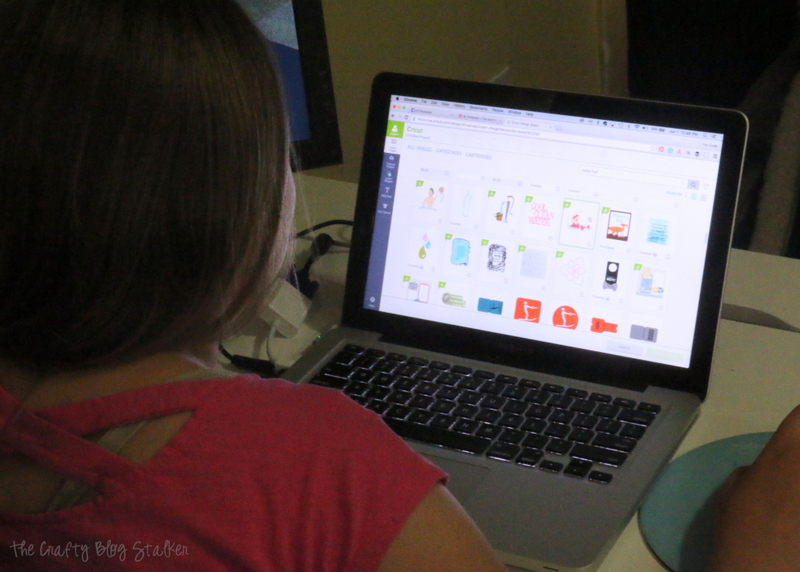 I will stumbleupon your blog post so that craft-lovers can also get advantage for this post. Thank you Frank! I am so glad that you found this post helpful. Thanks for the stumble!! !